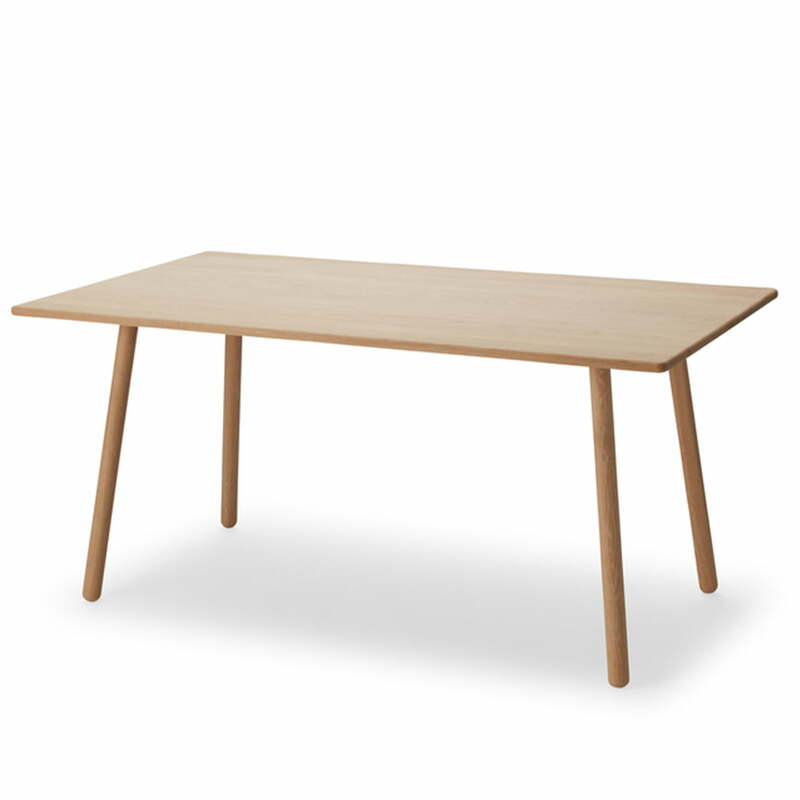 The Georg dining table is a functional and contemporary dining table with a minimalistic design. The well-crafted oak exudes a natural Scandinavian feel that is emphasised with a touch of elegance in the black version. The dining table from the Skagerak George series was designed by Christina Liljenberg Halstrøm. It was made for six people but the construction of lowered feet offers enough space for up to ten people. The table has rounded corners and harmonises perfectly with the other furniture from the George series. This is how the Georg bench and the Georg stool are the perfect complement at any side of the Georg dining table. Skagerak produces the Georg series from FSC-certified oak, which is proven to originate from sustainable forestry. 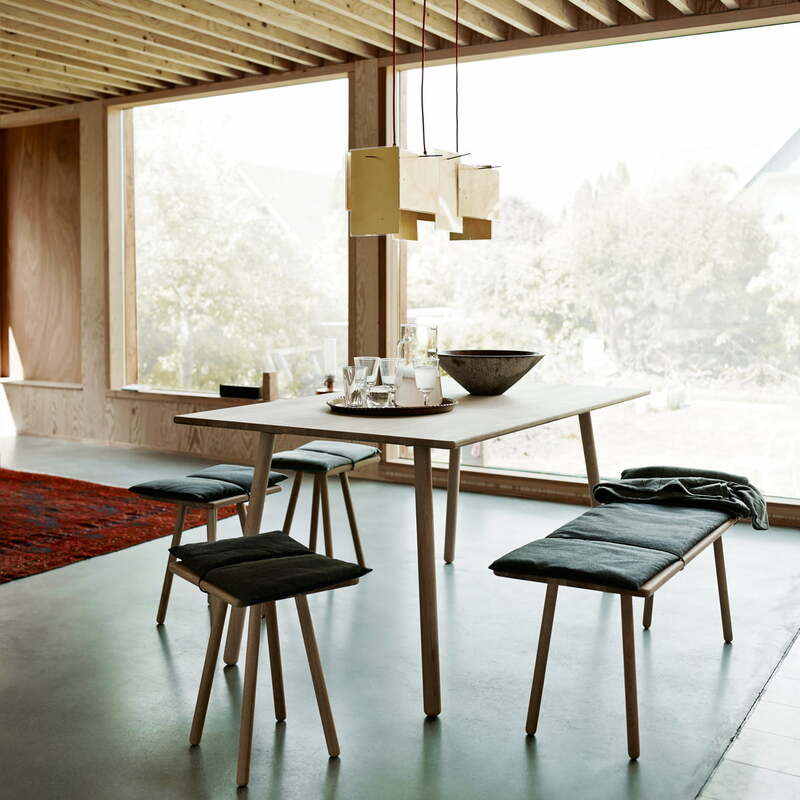 Single image of the George dining table by Skagerak. The dark wood looks elegant and luxurious and can be optimally integrated into a wide variety of housing styles thanks to the reduced design. 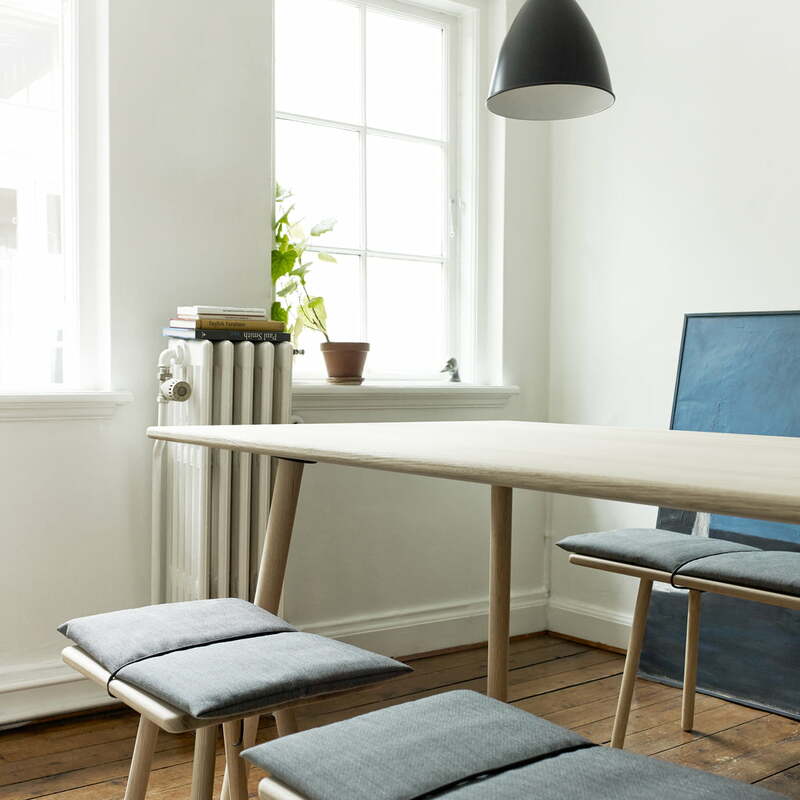 The Georg dining table in oak offers a homogeneous and harmonious overall picture especially in combination with the stool and the Bank from the George series by Skagerak. The Georg dining table in black offers an elegant overall picture especially in combination with the stool and the Bank from the George series by Skagerak.